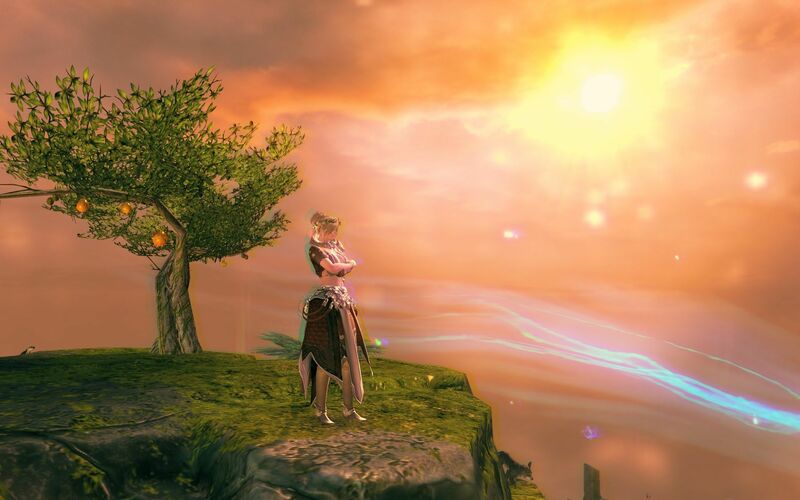 Another brand new zone has been unveiled for Guild Wars 2 and it’s a corker! Living World Season 3 continues with the release of Ember Bay, which is set in the Fire Island Chain. 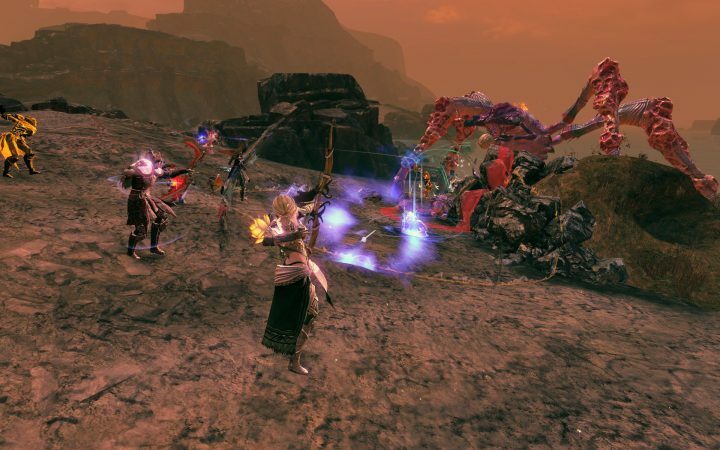 The Fire Islands will be familiar to players of the original Guild Wars as a formidable series of inhospitable maps that we were forced to walk though. Guild Wars 2’s Mastery System now enables players to glide the air, ride ley lines, or be fired enormous distances from lava tubes! Or you can walk. You can still do that. Let’s not forget swimming either. 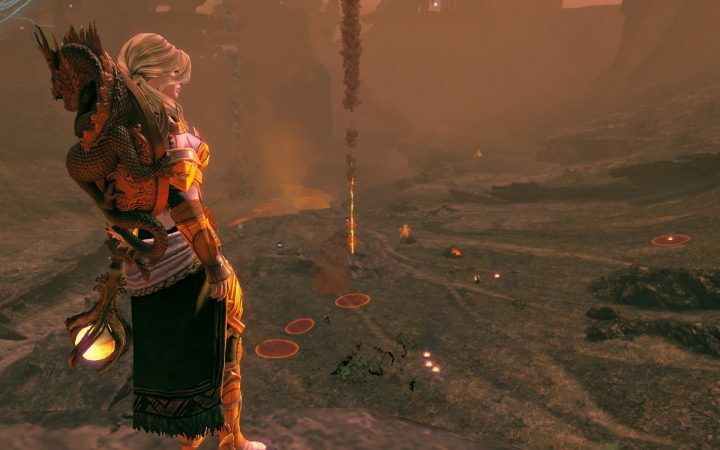 This companion guide takes a more conversational approach to what you can get up to in Guild Wars 2, in order to compliment the already excellent technical guides that are out there such as Dulfy. There’s a lot of fun to be had in Ember Bay so let’s get started! 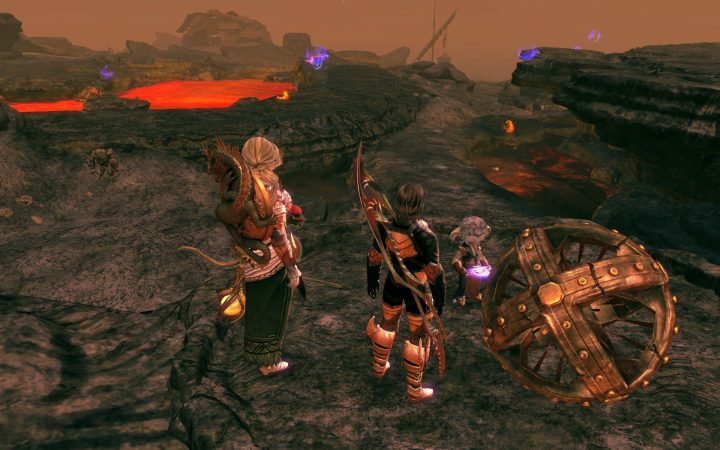 First off, to get to Ember Bay you need to play a story mission with Taimi. It’s fun and there’s asura virtual reality involved. Plus there’s a bit of Moto action if you remember him from the Super Adventure Box. Oh, and Rytlock drama but let’s avoid spoilers. Ultimately you step through an asura gate and find yourself surrounded by sun, sea and volcanoes. Skritt try to occupy Fool’s Scratch with the help of players. You Arrived in Ember Bay. Great! Now What? If you look at the map of Ember Bay it falls into basically six sectors. First there’s the “arrival sector” of Infernal Cape, which is dead in the middle of the map, extending south into the sea. Surrounding that are five sectors with repeatable hearts, two to the west and three to the east. The hearts reset at the normal daily reset time. Infernal Cape has an Unbound Magic vendor near the asura gate who sells goodies at extortionate prices, including a few bits of ascended equipment that could be totally worth it. There’s also a few things to gather here and some rather fun exit routes off to the east and west. If you look east and west from the vista south of the asura gate you arrived through, you’ll see updrafts going out to sea. You can glide both of these routes to other sectors and it’s your best option if you don’t have the Ley Line Gliding mastery, which let’s face it is still pretty advanced for a lot of players. A hidden bonus of going out to sea to the east is that there’s a seaweed farm to the south-east of the vista, ideal for farming a cooking ingredient for the high-end food, seaweed salad. You can sell your seaweed on the Trading Post for a tidy little profit if you don’t plan on using it otherwise. Just one thing… watch out for sharks. There’s a circular ley line route that starts at Infernal Cape and laps the entire island. You can actually get on at various points and gather some Unbound Magic along the way. Of course you will need Ley Line Gliding mastery to ride the ley lines. What is that? It’s the ultimate ability in the Gliding track and well worth saving up for and getting as soon as possible. The Gliding track is by far the most fun mastery track from Heart of Thorns and I encourage everyone to finish that one first. So, if you need a few more mastery points then do whatever it takes to get them! If I were to give a few tips on riding these ley lines, it would be to lean hard on some of the turns and to occasionally cut the glider to fall in line with the Unbound Magic along the route. As with anything, practice makes perfect. I have to say that there’s plenty to do on this island and bosses are often clashing with each other. Bosses also tend to be up quite often too so don’t worry if two bosses you want to do are up at once, just do one and the other should be up again before you know it. So, the hearts each have a theme associated with them. The western hearts are the castaway circus in the south-west and the mursaat fortress in the north-west. The castaway circus also has a VIP area way up on a rocky mass called the Lava Lounge, for which you’ll need a Lava Lounge Pass from the gem store to access. As far as VIP areas go, this one is really good and on par with the Royal Terrace in Divinity’s Reach. I certainly rate it higher than Noble’s Folly and the Captain’s Airship. The Mursaat Fortress is still guarded by magical constructs. The castaway circus is formally known as Ivy’s Circus Spectacular and they’re a shipwrecked troupe who’ve become island survivors living on saurian eggs, fruit and whatever else they can gather. Their area is populated with saurians, from the massive Stonehead down to the cute-but-deadly Pocket Raptor, as well as the same Reef Drakes from Southsun Cove. 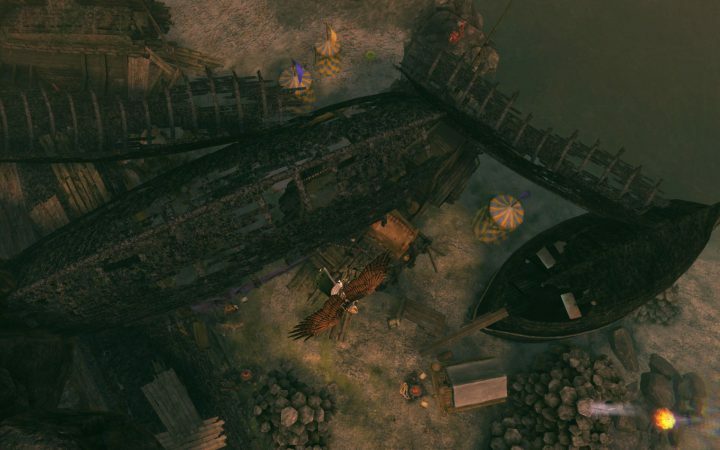 The two bosses associated with this area are the Drake Broodmother (usually a water fight unless it’s pulled to shore) and the Sloth Queen, which has a couple of pre-events building up to it. Between the heart, the events and the wealth of gathering opportunities there’s quite a lot going on here. The southern end of the castaway’s island (Osprey Pillars) has periodic coalescence events too but they’re quite out of the way. Flying over the camp of Ivy’s Circus Spectacular. The main section of this is called Caliph’s Steps. It’s populated with Jade Armors and Ether Towers, hostile defenses of the mursaat fortress that have endured for centuries. The easiest way to do the heart here is to pick off the destroyers on the north-western beach, which are far less powerful than the jades. The entrance to the “Chalice of Tears” jumping puzzle is by the vista in the north. More on that later. There is a boss fight in front of the fortress guarding a Mastery Point, which is really the main reason to be in this area. It’s called the Pyroclastic Jade Construct, similar to the construct bosses in the Bloodstone Fen release but with extra mechanics. The best place to fight is down by the lava on a ledge that has a solid wall behind you, so that you can both avoid meteors raining down on the area above while also avoiding boss attacks that could knock you into lava. Jade Armors guard the mursaat fortress. 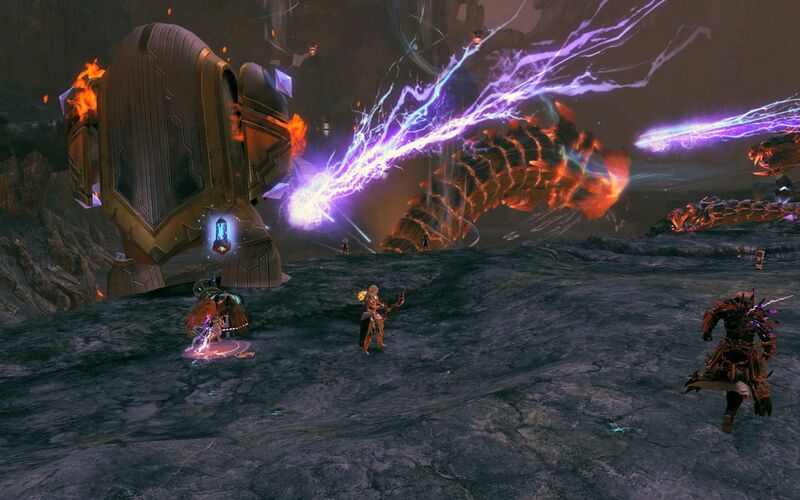 During the boss fight there will be some phases where you need to grab a lava rock and throw it at the boss while gliding to break its shield, similar to the Wyvern Patriarch boss of Verdant Brink. Once the boss is dead a small island will appear in the lava that allows you to get the Mastery Point, so don’t forget that before you leave. The Fractured Caldera contains the northernmost heart, to the north-east of Infernal Cape. This place is littered with dwarven relics and is inhabited by an intrepid asura krewe who are trying to do some research. Their problem? Lava wurms! In particular there’s an absolutely enormous one that lives in the big pool of lava in the middle, but fortunately the asura have the mighty Smooshatron to save them. Players scramble to keep Smooshatron supplied with energy. 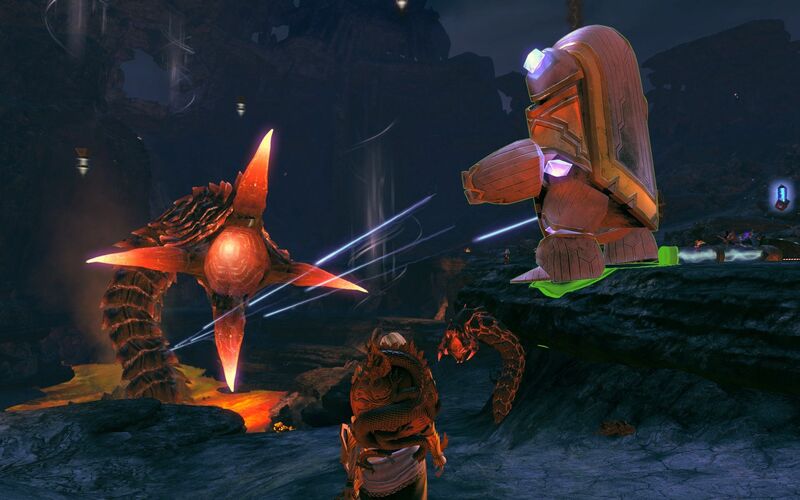 Smooshatron is a gigantic golem that needs to be powered and protected while it fights the legendary wurm Vermignus. Some players like to fight the smaller wurms attacking power relays while others heal and buff Smooshatron directly. It’s quite a fun fight and if there’s enough players, champion lava wurms will appear and drop champion bags for extra loot. Aside from the main battle event there’s a fair bit of fun gliding to be had and lots of petrified stumps to salvage for Petrified Wood, a rare currency accepted by merchants in Ember Bay. They can alternatively be salvaged for large amounts of Unbound Magic if you prefer that and it doesn’t appear to matter what type of salvage kit you use. Smooshatron blasts the legendary wurm Vermignus with a laser salvo. What could possibly be more adorable than a skritt pirate, right? The crew of the Dread Shiny have landed in the east of Ember Bay searching for treasure and, having found a particular dwarven artifact have mutinied against their captain! Now, poor Captain Huuhes is perpetually drunk and spends her time hitting the bottle and occasionally, passers-by as well. The rest of her pirate crew have set up a new scratch (village), where they jealously guard their dwarven artifact. The skritt are looking for extra help against the destroyers mainly, and also for someone to rescue skritt who have got themselves stranded on islands out in the lava river. Occasionally the skritt will send out parties to look for treasure or to establish a new scratch and these are both events that encourage you to join in. 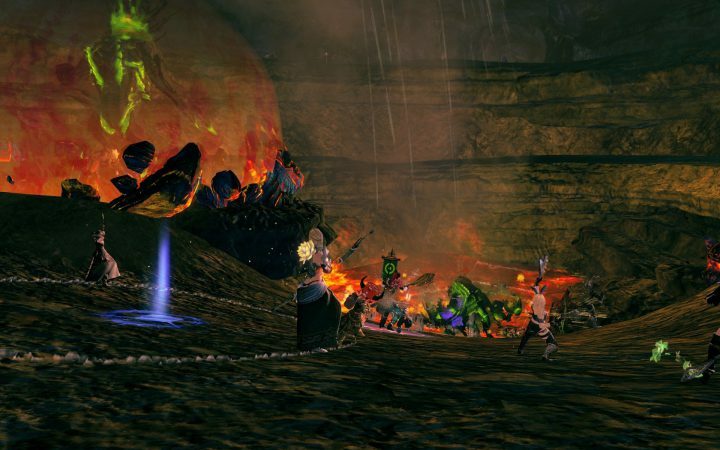 The boss fight in this area is a champion karka that the skritt manage to attract when they go off adventuring into karka territory. A gigantic karka attacks Fool’s Scratch. These are the same karka that inhabit Southsun Cove. The karka have a colony on the far east side of Ember Bay that occupies most of the beach where they simply mind their own business. 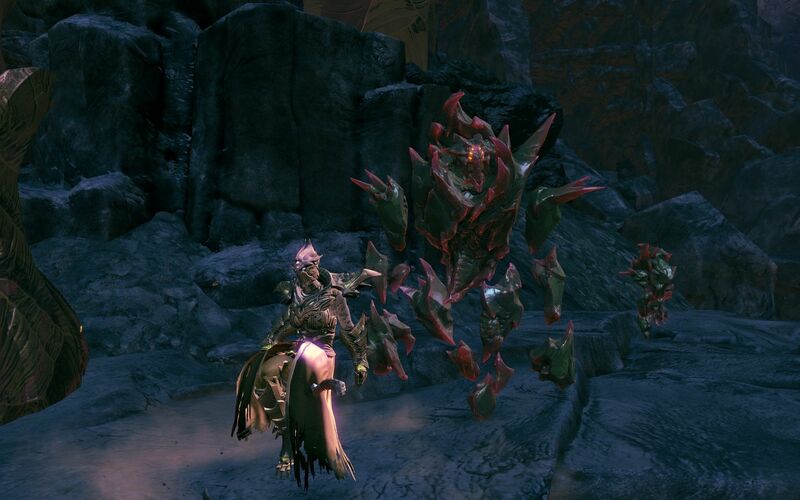 There is a Mastery Point in karka territory which shouldn’t be difficult to collect if you just avoid the big ones. Around Rock Face Scratch and the Dread Shiny is a lot of banter among the skritt that you’ll find amusing for quite some time. It’s easy to hang around and, just as you thought you’d heard it all, a few scallywags suddenly break into a rude song about their captain. All in the best possible taste of course. Rock Face Scratch is constantly under threat from the destroyers. The third and final eastern heart is in the south-east on a peninsula. This is another asura krewe attempting research only this time they are bedevilled by destroyers rather than lava wurms. 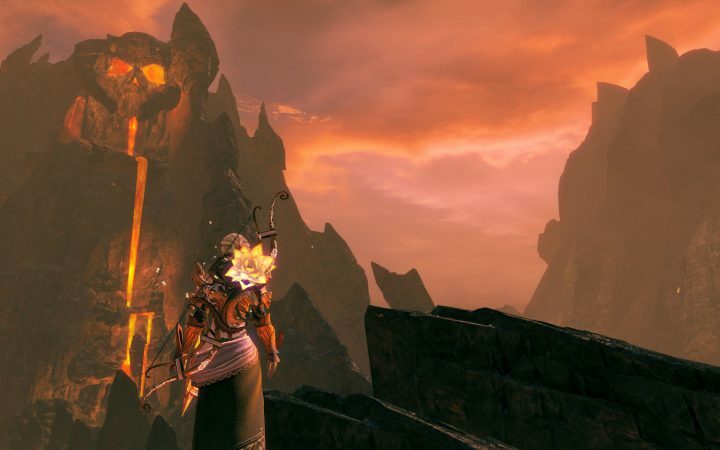 The Burning Grotto itself is a fairly barren place for the most part, being home to a destroyer boss called the Molten Dominator. The main play area here is just north of the grotto around the lava pools and it’s called the Lava Flats. Above each pool is a glob of Unbound Magic that floats above a fluctuating updraft. The trick is to wait for the updraft to appear and quickly ride it up to collect the magic, but if you time it wrong then you’re going for a swim in the lava! An asura examines a strange dwarven machine in the Lava Flats. Also around the lava pools are lots and lots of destroyers and lava elementals that like to trash the asuras’ equipment. You can complete the heart by trashing the monsters and fixing the asuras’ equipment, after which you can buy some fancy harvesting tools that reward you with additional Unbound Magic regardless what you harvest. All-in-all the heart vendors sell some unique items and you should certainly take a closer look. If you need a lot of Unbound Magic, the harvesting tools you can buy from several hearts are well worth a look. Each heart also sells a unique miniature and certain items can only be bought once per day, but they will appear again the next day after you re-do the heart. One last thing to mention about the Lava Flats is that there are also periodic coalescence events in the north of that area, similar to the ones at Osprey Pillars. Burning Grotto is home to the Molten Dominator boss. Now then, back to that jumping puzzle. Yes. Yes it is, but for all the wrong reasons in my opinion. 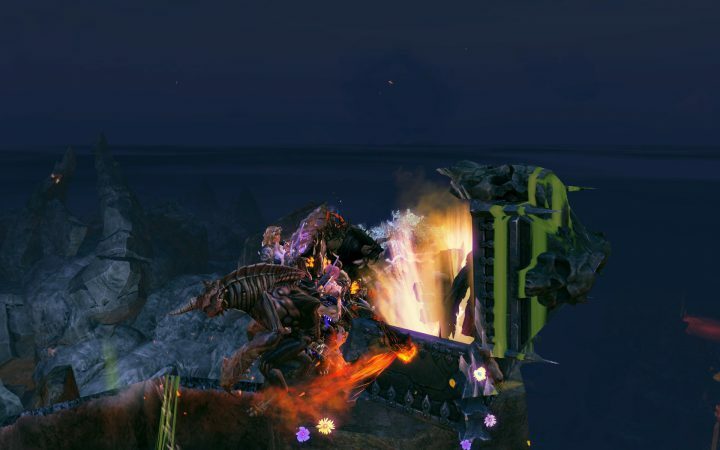 I really like jumping puzzles in Guild Wars 2 but for this one I found the Dulfy guide and a mesmer mandatory. 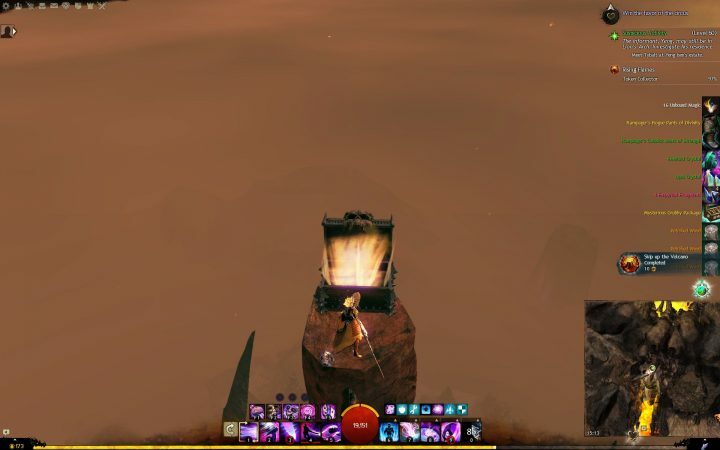 I’m fairly sure the Dulfy guide was only possible with inside information from ArenaNet, either Josh Foreman himself or maybe a QA person taking Dulfy and/or contributors though the jumping puzzle, recording video footage along the way, and I found myself having to refer to Dulfy’s video guide just to find my way. Some of the moves in the jumping puzzle require gliding around blind corners or performing bizarre sequences I’d never have guessed, ever. In short, it’s impossible to read. It’s also a trial-and-error heavy place in an environment that heavily punishes trial-and-error by breaking your armour and making you fight monsters that lurk in the walls. It’s cruel gameplay that 99% of people I don’t think are going to get though. Yes, I am one of the people crazy enough to get through but wow, I was transported back to childhood memories of looking for the last coin in Treasure Island Dizzy, a game that has no saves, one life to complete the whole game and you die instantly to everything. I was hoping to leave those games in the past, y’know? LET ME RELAX! The end of the Chalice of Tears jumping puzzle. If for some reason you still want to play the Chalice of Tears, then do yourself a favour and at least watch the Dulfy video guide first. One final comment on the jumping puzzle is the wonderful community spirit that appears from time to time. I was lucky enough to be online when a couple of mesmers were offering to portal people though the jumping puzzle, collecting the mursaat tokens hidden in the jumping puzzle along the way. Now I’d seen some of these mesmer teams previously but I had wanted to do the puzzle for myself. On this occasion, I still needed to collect some tokens so I tagged along and tipped the mesmers for their kindness. Another one of the wonderful things in Guild Wars 2 now is the squad interface. For this particular mesmer squad going though the puzzle, we had about 20 people grouped together with squad markers showing where to stand and who the porting mesmers were. A really mature feature showing it’s power and versatility. 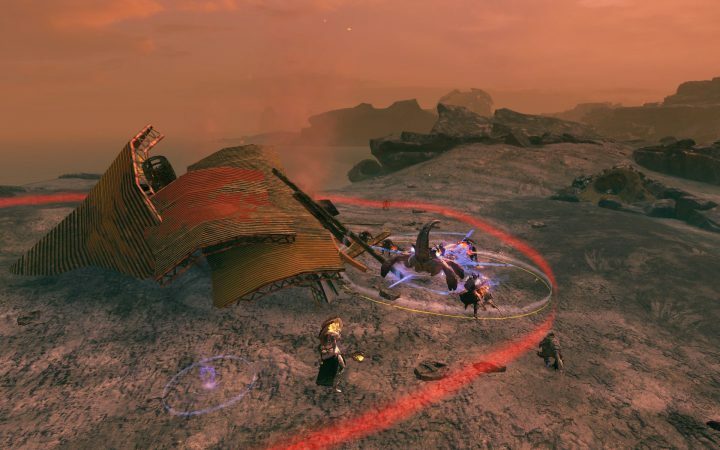 So, if you’re really stuck on this puzzle or the mursaat tokens then try to find one of these helpful mesmer teams. 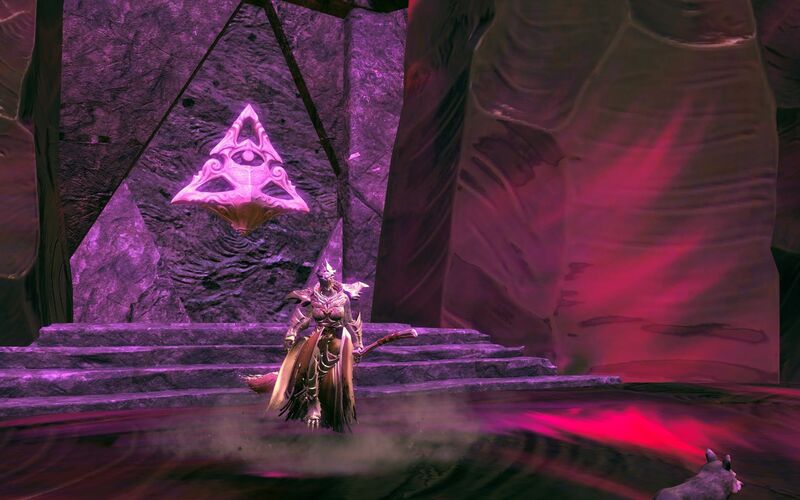 A mesmer-led tour of the Chalice of Tears. Did I mention there are mursaat tokens hidden in the hideous jumping puzzle? Yes, and you will never ever find them without resorting to the Dulfy guide. I’m serious. Some of the locations are so mind-explodingly ridiculous you’ll be convinced you fell through a gap in the geometry only to… “oops!” find a mursaat token. I mean, I like scavenger hunts but this one was very much “Dulfy guide or get out” for maybe 20% of the tokens. Previously when I played scavenger hunts in other zones I might have needed a guide for the last one or two tokens if I got totally stuck and frustrated, but I’ve prided myself in avoiding Dulfy guides for the most part. The whole idea is to look rather than cheat, right? This zone is pretty different with lots of places that make you feel like you escaped the valid playable area, and indeed certain tokens are in places that feel broken but hey, there’s a token right there. It’s quite unsettling actually. Infernal Cape looks incredibly dramatic. Now I did personally discover somewhere over 30 of the 40 tokens just by looking, including two in a ridiculously obscure passage that goes underwater for quite some way by getting stuck in geometry, relogging, and then finding myself in said passageway (a process known as void jumping, where the game tries to place you on valid ground upon relog). I discovered the proper entrance was way out to sea and I’m not entirely convinced I’d have found it. A happy accident from getting stuck yes, but somewhat unsatisfying to have benefited from a bug. In the end I had to mark both the scavenger hunt and jumping puzzle as negative, frustrating activities. They should only be attempted if you have crippling OCD that compels you to do them, or maybe if you just hate yourself and love punishing, soul crushing experiences. The Chalice of Tears is well named. Just as you get dailies in Bloodstone Fen, so you get dailies in Ember Bay as well. The main reason to do dailies is for Petrified Wood and, perhaps more importantly, because it’s fun. 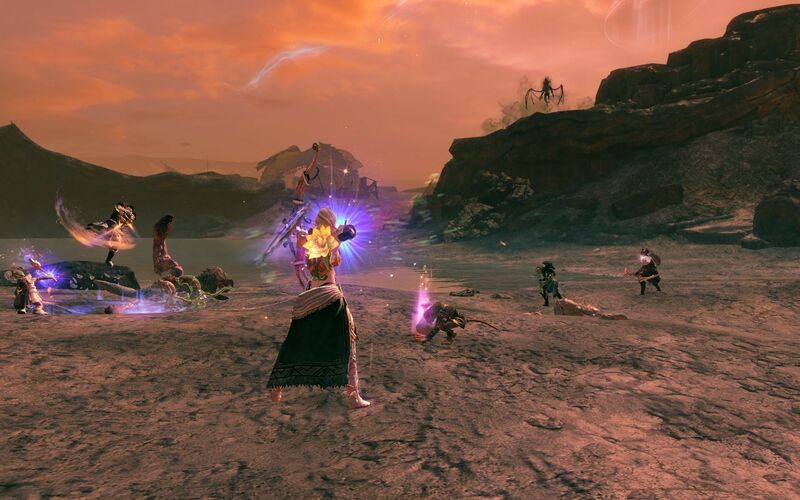 Yes, aside from the bad bits already mentioned Ember Bay is a really fun zone that has me playing events constantly, killing bosses and generally mucking in with dynamic events. It’s also a zone that’s fun to explore and goof around in, collecting Unbound Magic and harvesting all-the-things. The Lava Lounge is a VIP area flush with services and spectacular views of Ember Bay. The longer term goals in Ember Bay are in the merchants. 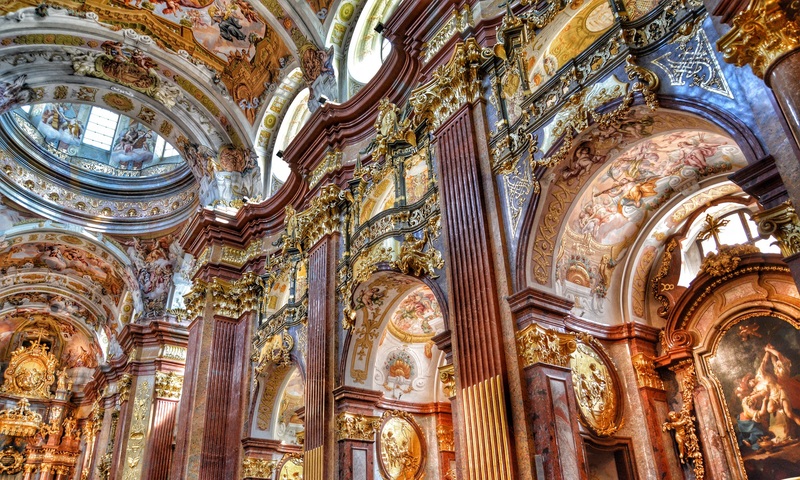 Some of their stuff is very expensive, so if you want to buy it you’ll be quite busy for some time. 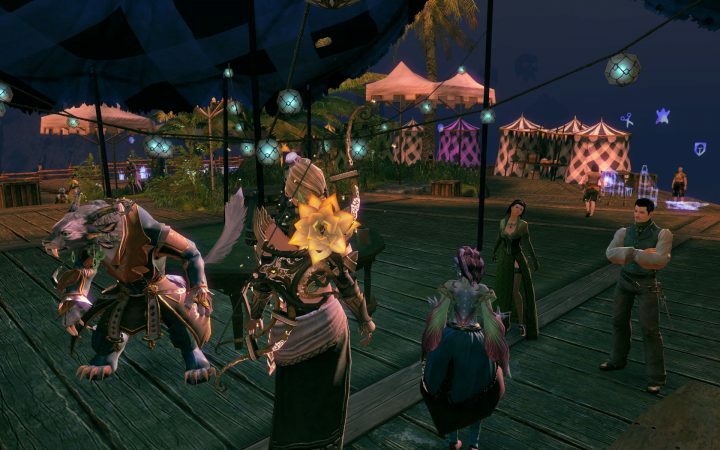 One merchant I hadn’t mentioned earlier was the Carnival Weapons vendor at Ivy’s Circus Spectacular. This lady sells incredibly expensive weapons that add up to over a thousand gold coins for the collection, although you can get a 20% discount by doing the nearby heart repeatedly for discount vouchers. It is still a big pile of money however, so only the uber-rich need apply. A bit north of Ivy’s Circus is a mean hermit called Hungry Hal who lives on a bleak and desolate mountain ledge. He is very grouchy and doesn’t feed himself. Taking pity on the hermit you can gather Ember Apples from trees closer to the circus and then deliver them to him one at a time, for which he will pay you in scorn and nasty looks. After 50 such thankless apple deliveries you will get the title “Good Apple” and exactly zero gratitude from the miserable hermit. The achievement comes with the flavour text “An apple a day…”, so it was probably intended to be done over a period of weeks. That doesn’t stop you from going wild and completing it sooner though. One final thought about those apples is that they set you on fire if you eat them, so on second thought I’m not entirely sure if we’re trying to feed the hermit or incinerate him. 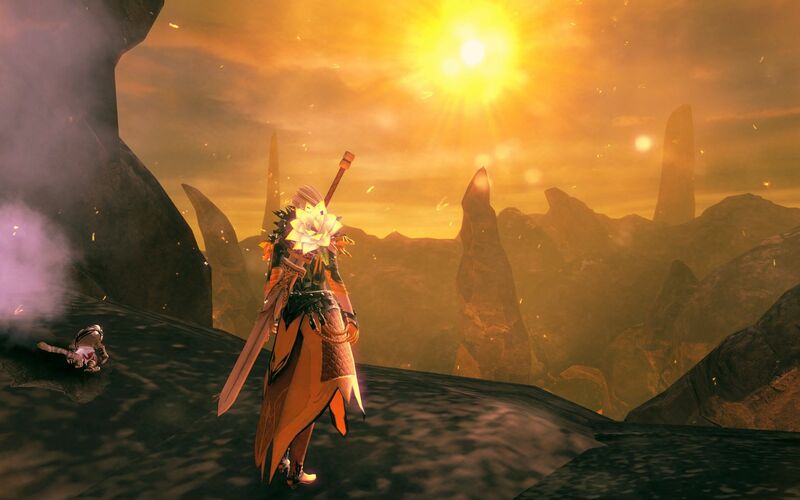 Ember Apples grow among the Osprey Pillars of Ember Bay. That’s all I have for Ember Bay, a really fun zone with a few flaws that are easily forgotten. Chalice of Tears? I have no idea what that is. Mursaat Tokens? Never heard of them either. See? Cognitive dissonance has a use.